ROCHESTER, N.Y.--(BUSINESS WIRE)--Please replace the photo with the accompanying high-resolution photo. 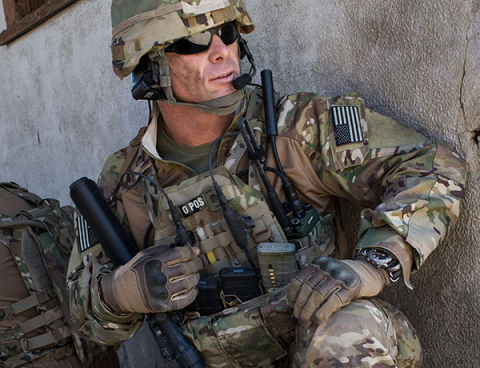 Harris Corporation (NYSE: HRS) has introduced a new advanced two-channel handheld radio that simultaneously delivers voice and data networking to U.S. Army leaders, significantly improving critical battlefield communications. The new radio’s superior crossbanding technology allows users to send information up and down the chain of command, as well as across the battlefield network backbone, while connecting to computing devices, including Android™ smartphones. It can simultaneously transmit information through combinations of legacy SATCOM, VHF/UHF line-of-sight and Mobile Ad-Hoc Networking applications – and future applications as they become available. Harris’ Army radio is based on the company’s ground-breaking AN/PRC-163 radio for the U.S. Special Operations Command (SOCOM). It features SWAP-C optimization that meets multiple mission needs, while reducing the need for warfighters to carry several pieces of equipment, and has a mission module expansion slot for future capabilities. The new Army two-channel radio will be on display at the Harris Booth (#631) March 26-28 during the Association of the United States Army (AUSA) Global Force Symposium in Huntsville, Alabama. For more information on the radio, click here for video and here for additional materials.